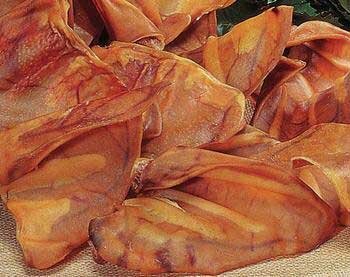 Pet Center pig ears have become one of the most popular dog chew treats. Pig ears are 100-percent US pork and irresistible to dogs. Available in large size. Comes with natural flavor. It contains 100-piece per pack. If you have any questions about this product by Pet Center, Inc., contact us by completing and submitting the form below. If you are looking for a specif part number, please include it with your message. Superior Farms Pet Provisions USA Pork Chins, Thicker Than Pig Ears, Dog Snack Treats, 50ct.